Content marketing is transforming the information we consume as companies step into the role once reserved for professional media and publishers. Here are five priceless content marketing lessons that will improve your results based on my experience working for global content titan Bertelsmann where I sold truckloads of books. Of course, this doesn’t mean you’ve got to give all of your information away for free. Offer just enough content to hook your prospect into wanting more. The amount of content needed depends on how big the information gap is and what is required to convince your audience to pay. 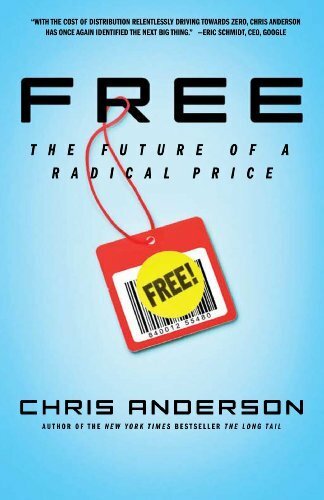 While Chris Anderson, author of Free, has popularized the idea of giving your content away, he didn’t originate this trend. To promote new books, publishers schedule live readings and tours where authors read an excerpt from their book, answer questions, and sign copies. Many mystery writers include at the end of their current book the first chapter of the next book in the series to encourage sales by hooking their potential readers. Think beyond the initial sale. Content marketing takeaway – Let your audience test your content. Take a page from Amazon’s playbook. Let prospects peek at your information as well as see customers’ ratings and reviews. B2B marketers use webinars to provide a similar experience without the need to leave your computer. Enhance the value of your gated or paid content. Create a tailored marketing persona so that you understand what will make your readers pay for additional information. Encourage readers to purchase more of the same or similar product. Use your products to support future sales. As your parents taught you, you only have one chance to make a good first impression. The same holds true for your content. Which books and magazines pop out? What brands get the best placement? What images do they use? What headlines catch your attention? 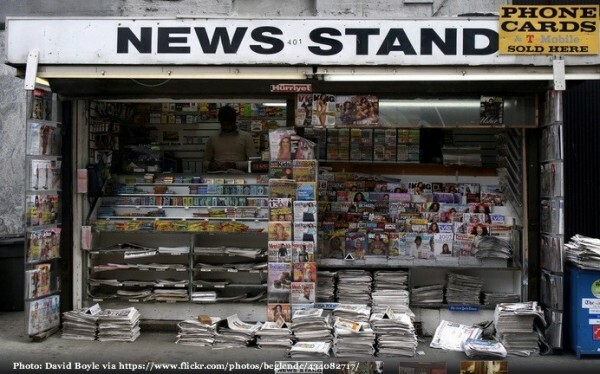 These newsstand attributes are similar to the content mechanics used to get your work to stand out in social media and newsfeeds. People expect quality content. They don’t have the time to wade through useless, boring, or poorly presented information. Many self-published books lack quality content, professional copy editing, and skillful presentation. It’s not that authors have bad intentions; they just haven’t invested in these related elements. This is a major reason authors prefer to use an established publisher. Content marketing takeaway – Looks count for content. People judge books by their covers and their presentations. 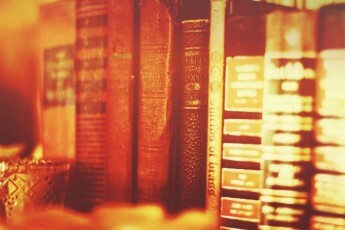 But strong content presentation isn’t limited to books. It applies to all information and media. Dress your content for success. 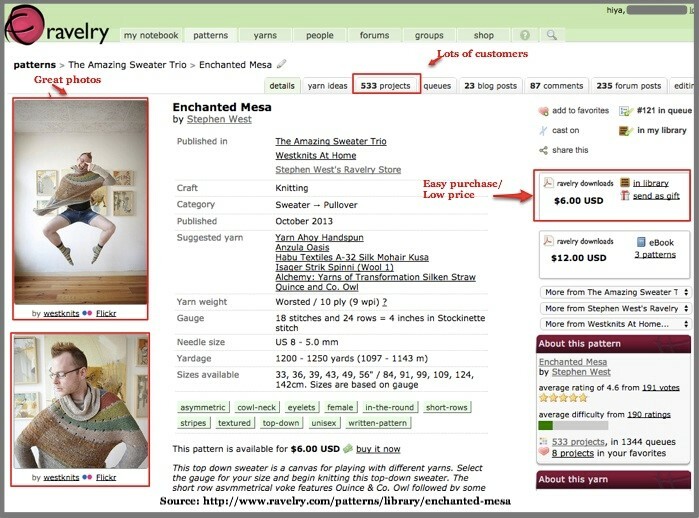 For example, Ravelry, a niche social media network of knitters, has changed knitting-pattern publishing from traditional pattern books and magazines to downloadable patterns sold directly to customers. To stand out, designers need good test knitters, tech editors, and presentation including diagrams and photos. For example, Stephen West’s patterns contain easy-to-follow instructions with beautiful photos. Add professional polish to your content. Don’t just dash off the first version you’ve drafted. Let it sit and reread it for understanding. Can you reduce words? Can you strengthen the language? Have your content edited by a professional. Readers seek clarity. Poor grammar and spelling hurt your readership. Add images and graphics. Break up your text with professional-looking visuals that simplify your ideas. Use different content formats. Expand your content reach through a variety of different content formats such as video and podcasting. Putting the words, The New York Times or The Wall Street Journal best seller, on your book, website, and social media presence is invaluable. It’s the reason publishers seek writers with established followings on other media and platforms. Look at how Neil Patel leverages the power of traffic to offer readers three different top lists on his Quick Sprout blog. It drives traffic to these pages. Content marketing takeaway – Spotlight your most popular content. Make it onto a best-seller list and your book sales increase exponentially. This is the wisdom of crowds at work. Involve influencers. Get input or endorsements from highly regarded experts in your field to help your content. If they’re part of the content creation process, they’re more likely to buy into promoting your content. Take a page from Lee Odden’s influencer playbook. Authors have done this for years, especially those focused on mysteries and science fiction. These writers tend to have a following interested in one or more series of novels. Building a community isn’t limited to writers. Musicians can be good at building a community. The Grateful Dead is the premier example of this. 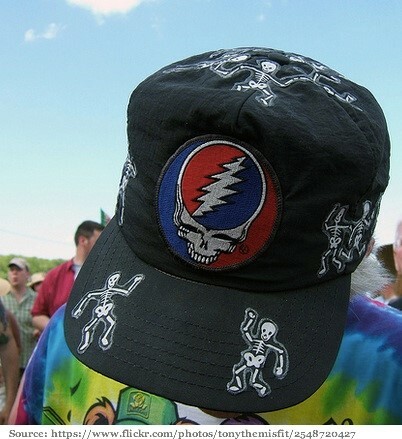 The group allowed its followers to record its music and create related products. Content marketing takeaway – Tap into the power of your best fans because they may know things that you don’t and can help broaden your reach. Understand your audience and its needs beyond your content offering. Science fiction writers are great at this since their audience loves to collect stuff related to their books. At Bertelsmann, I increased sales per customer by offering high-priced merchandise they wanted. Build a house file. This enables you to contact prospects, customers, and fans interested in your product. Get their permission or it will be considered spam. 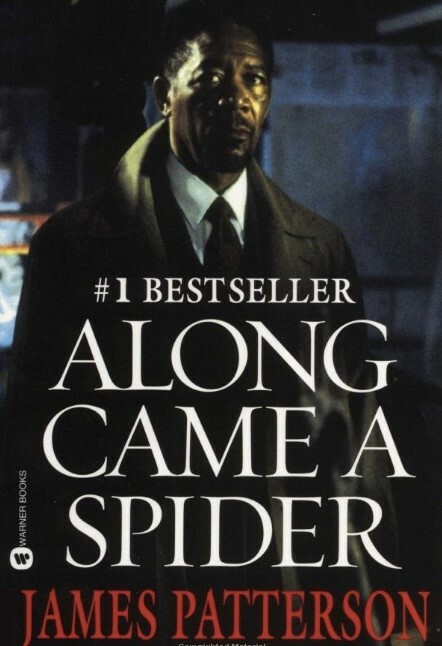 Best-selling author and former advertising CEO James Patterson personally created and shot his own television commercial for his book, Along Came A Spider, in 1993. After seeing the ad, his publisher split the media costs to start his best-seller legacy, yielding 5 million print copies. Content marketing takeaway – Use advertising to support your content and sales process. Patterson didn’t stop at advertising and promotion to build his publishing empire. He is unique because he has a collaborative book-creation approach. Patterson develops the plots and characters while his co-authors write the line-by-line text, enabling him to churn out multiple books per year. Content marketing takeaway – Understand the mix of content strengths that you need in order to create blockbuster content. Plan your content marketing promotion. Don’t assume that people are waiting for your next piece of content. Plan how you’ll ensure that it reaches the maximum potential audience with limited investment. Support your content marketing with paid promotion (where appropriate). Think in terms of social media and paid-search advertising. Leverage the power of PR. Consider whether PR can expand your content marketing reach. It can be particularly useful if your content is associated with something else noteworthy. To use content marketing to sell your products, start by enticing prospects with quality content and getting to know them. Over time, it’s possible to expand your sales based on this knowledge. What other priceless content marketing tips can you recommend? What was your experience using them? Want to learn more about how to manage today’s biggest content marketing challenges? 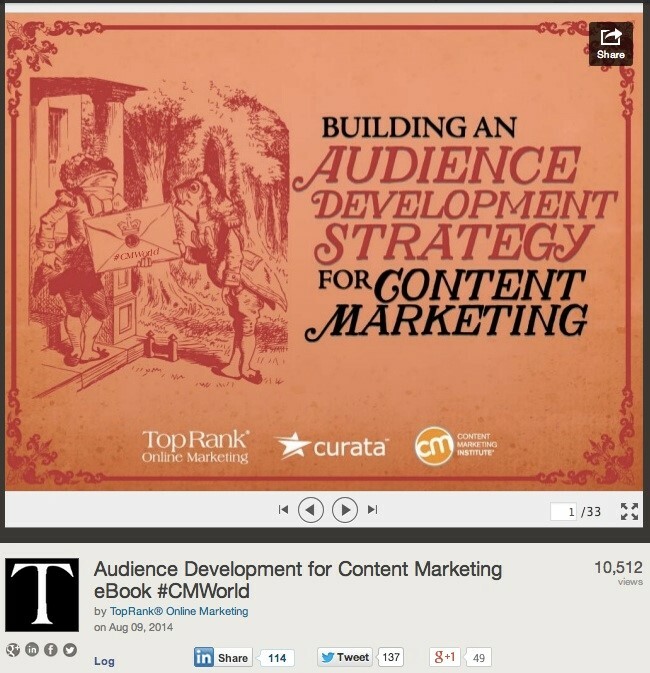 Sign up for the Content Marketing Institute Online Training and Certification program. Access over 35 courses, taught by experts from Google, Mashable, SAP, and more.